We invest in our residential air conditioning systems to increase the levels of comfort in our homes. This is necessary during the cooling months, but are we using our systems too much? An air conditioner can use a lot of energy and using it excessively can cause premature wear and tear. Let’s take a look at four ways that we can reduce our air conditioning use and still stay cool. When the weather gets hot, it’s even more important to take care of yourself to stay cool. Strenuous outdoor work should be avoided, and if it’s unavoidable, you need to take plenty of breaks. Always wear lighter clothes for air circulation and choose light colours to reflect the sun away from your body. Drink adequate water and avoid alcohol and caffeine. Never leave a child or animal in your car and check on vulnerable neighbours and relatives. Reduce the workload of your AC system during the times when it needs to work the hardest. Turn off the AC at night and open up the window to keep the bedroom cool. Use shades, curtains, and blinds to keep the sunlight out of your rooms. Don’t use heat generating appliances during the day and use fans to circulate the air. Take a break from your home, visit the pool for a swim, but don’t forget about any pets that are left at home. This sounds like crazy advice, but turning the thermostat right down doesn’t cool your home any faster. A temperature of 78 degrees F is ideal for most people, and this can be adjusted to taste. When you leave your home, turn the temperature up by 5 or 10 degrees, and you will save money on your energy bill. There are ways to increase the efficiency of your air conditioner to lower your energy bills, ensure that it’s working as intended and decrease the likelihood of a breakdown. Firstly, change the air filter every month, this will improve airflow and ensure that the system is not being overworked. Secondly, schedule an annual service visit for your home prior to the next cooling season to ensure that your equipment is working. Finally, if you do notice a lack of cooling performance and any strange noises, call a technician immediately to correct the problem before it gets any worse. If you’re in the market for residential air conditioning systems, contact us here at Gas & Air. We offer to supply, install and service a wide selection of heating and cooling equipment for both domestic and commercial customers. 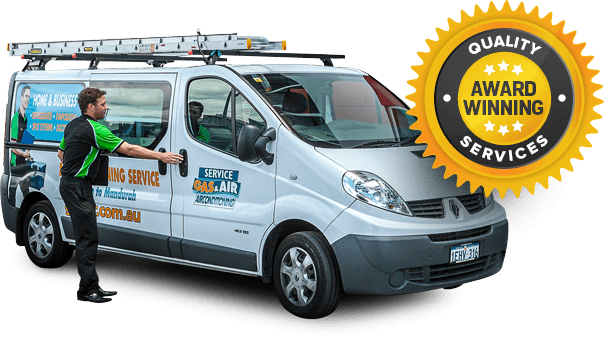 We offer local, high quality residential air conditioning repair and servicing at an affordable price. Our sales team is standing by to discuss your needs in greater detail and to answer any questions you may have.